The weekend... blink and you'll miss it. Although, I think this weekend that all too familiar experience was partly due to consuming many potent ciders / scrumpys yesterday at a beer festival (fortunately there was a'plennnty of cider, as I'm not a beer fan!). Fermented apple-y goodness. If I could have rolled a barrel of the stuff home, I would of. Well, these trews are might comfy! Despite feeling a bit autumnal in this shade, as I wear a lot of black, it's good to have some variety in my wardrobe! It's good not to look so morbid day to day! 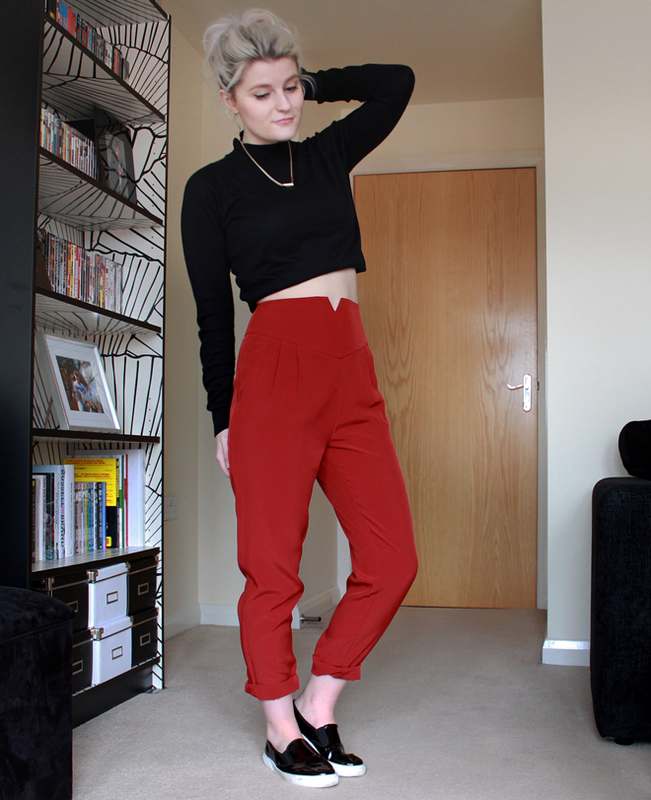 High waisted trousers are perfect for work as they look a bit smarter (I seem to have a habit of dressing casually... good thing it's not frowned upon where I work!). Anyhow. The moral of today's post is that your don't have to spend too much precious dollah to get your hands on some fab fitting trews. You can nab these babies for just under a tenner - urm. Can I have more in every colour under the sun please?! the fluffy cardy is P R E C I O U S! There's no way I could pull these off but you look amazing as ever Robyn! Lovely look! Where's the bag from? I loooove those slip ons and of course the red bag and trousers!!! Awesome look! 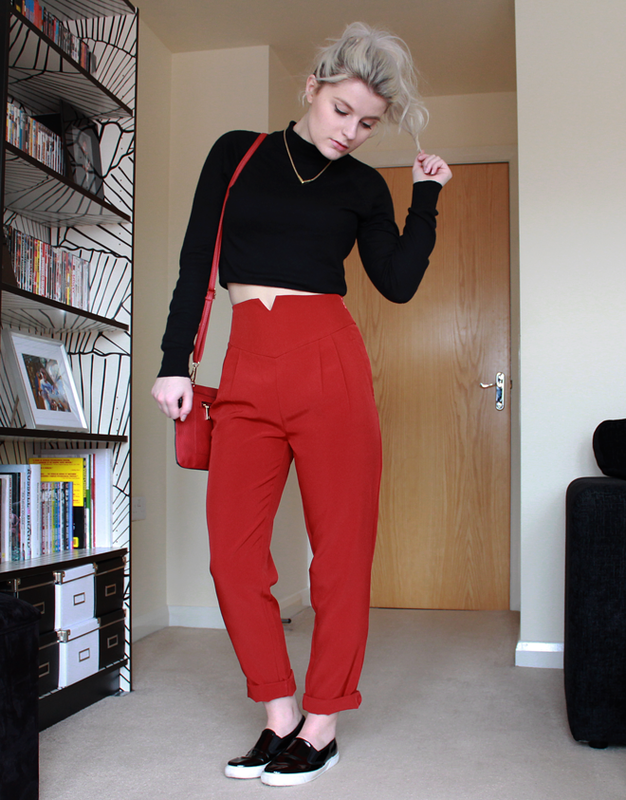 A lovely outfit :) you look great in the red trousers! SO Cute, those pants are way too perfect! BEAUTIFUL OUTFIT! 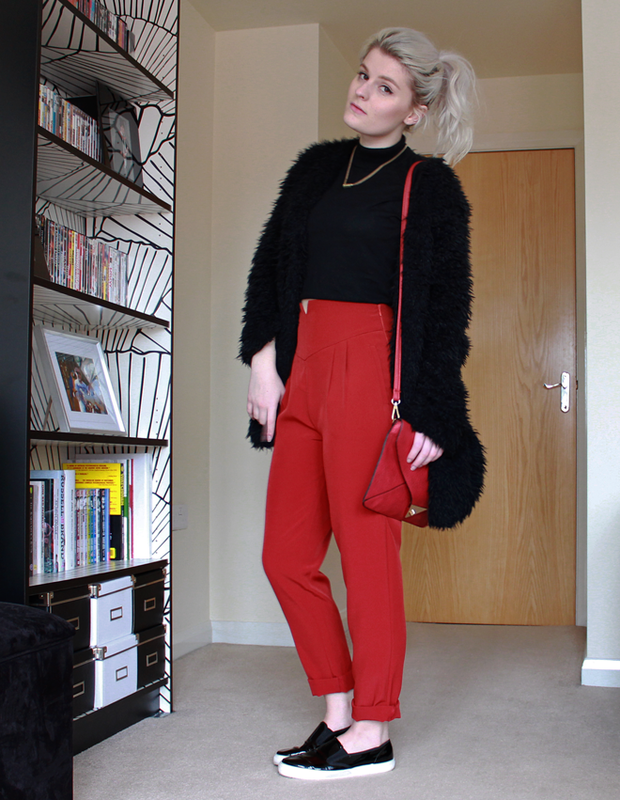 Love the trousers, they're loverly! 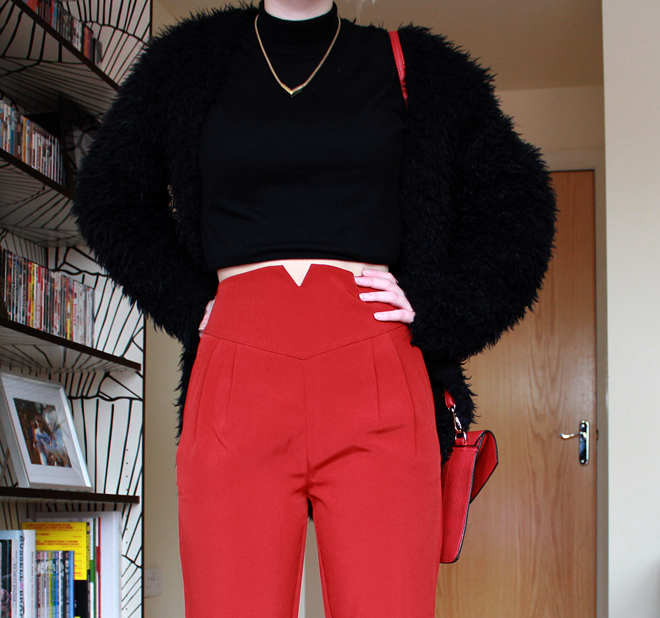 A) How nice are those trousers? B) What a bargain they are!! C) Your hair looks awesome up, you should do up-dos more often!